Little Black Book: A Toolkit For Working Women by Otegha Uwagba is the modern career and entrepreneurial guide every young creative woman needs, whether you’re just starting out or already have a few years of experience under your belt. Packed with fresh ideas and no-nonsense practical advice, this travel-sized handbook is guaranteed to become your go-to resource when it comes to building the creative career and business you want. 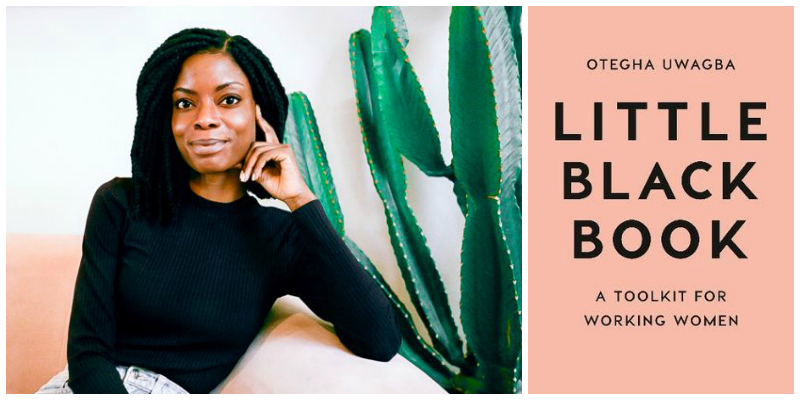 Written by writer and brand consultant, Otegha Uwagba, Little Black Book takes you through everything you need to build a successful self-made career and business. It offers a range of tips and advice from how to negotiate, to building a killer personal brand, via a crash course in networking like a pro, and tips for overcoming creative block. Plus it's full of indispensable advice on how to thrive as a freelancer, with an entire chapter dedicated to helping you master the tricky art of public speaking. With contributions from trailblazing creative women including acclaimed author Chimamanda Ngozi Adichie, Refinery29 co-founder Piera Gelardi, The Gentlewoman's Editor-in-Chief Penny Martin, and many more, Little Black Book is a curation of essential wisdom and hard-won career insights. Whether you’re a thinker, a maker, an artist or an aspirant entrepreneur, you’ll find plenty of inspiration for your working life here. The offices, studios and coffee shops where we spend the majority of our waking hours are constantly evolving, and with them the rulebook on how to build a successful and fulfilling creative career. For the generation of fiercely ambitious and entrepreneurial women that I’m part of, navigating that ever-changing landscape throws up a bunch of complex questions - from little things like how to write a sensitive email, or use Instagram to your advantage; to the big, existential, career defining quandaries, like how to build the kind of personal brand that opens doors. If there’s one thing I’ve learned along the way it’s that we all have ideas - sometimes we just need a little help figuring out how to make them happen. Otegha Uwagba is a writer, speaker, brand consultant, and the founder of Women Who, a London-based platform that connects and supports creative working women. A former ad(wo)man, she spent years working at some of London’s top ad agencies and cult youth brand Vice Media, and is a 2018 Forbes 30 Under 30 alumni (Media). She graduated with a degree in PPE from Oxford, and grew up in South London, where she still resides. She loves speaking at events and has done so for organisations including The Guardian, It’s Nice That, the London Design Festival, News International, and General Assembly. She is also an experienced moderator, and has hosted numerous events both independently and as part of Women Who.